Our latest annual report reflects the many ways in which collaborative effort between our staff, volunteers, donors and supporters opens new doors for formerly homeless individuals. To view the PDF, click here. At a Veterans Day ceremony on Nov. 11, Virginia Governor Terry McAuliffe declared that Virginia is the First State in the Nation to Functionally End Veteran Homelessness. 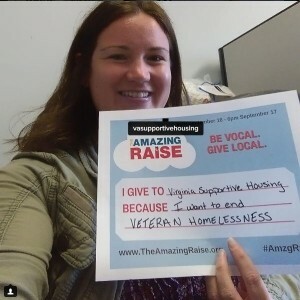 Virginia Supportive Housing specialized case managers on our Supportive Services for Veterans and their Families (SSVF) team have been integral to the Commonwealth’s efforts to end veteran homelessness. In 2013 – 2014 we served 684 veterans and their families in 21 counties and municipalities. The U.S. Department of Veterans Affairs is dedicated to eradicating veteran homelessness by the end of 2015, and Celie Weaver is on the front lines of that battle right here in Richmond. In fact, during the 100 Day Challenge Celie assisted 30 of the 97 veterans that were housed! Since 2012, Celie has worked as part of VSH’s Supportive Services for Veteran Families (SSVF) team, the largest and longest-running SSVF program in Virginia. SSVF provides a short term intense period of case management to link individuals and families to benefits and may provide temporary financial assistance to help with the cost of achieving housing stability for veterans. 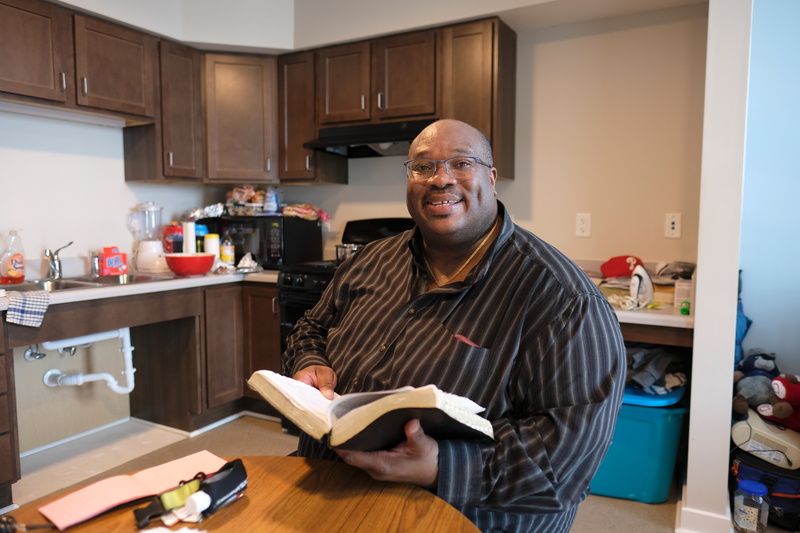 Through this program, we provide rapid re-housing services for veterans experiencing homelessness and we help veterans who are at risk of losing their housing to remain stably housed. We sat down with Celie to learn more about her work. As an outreach worker, I go out with the Richmond Outreach Consortium to find and engage with individuals that are sleeping outside. As the SSVF outreach staff, I help the homeless veterans that we find get linked to the most appropriate housing and services resources in the community. When I meet with veterans we complete an intake for VSH’s SSVF program and assess their case management needs. Once I identify barriers to housing and daily living skill needs, I assist with reducing those barriers by helping individual veterans secure identification, food stamps, veteran benefits and other things that they might previously not have had access to. I am passionate about my working relationship with clients. With a great amount of perseverance, most veterans are housed very shortly after meeting with me. I get great satisfaction from hearing about how much they appreciate what we were able to accomplish together. And, many of them pass my business card on to others which helps me end homelessness for more veterans! I work with a lot of veterans on getting VA benefits and pensions. The look I see on their faces when I tell them we’ve successfully secured benefits is priceless. Move-in day. VSH is able to provide each new resident with a mattress, bedspring and rails. The bed, as well as an array of donations from the community, are delivered on move-in day. A residents’ new house becomes home right from the get-go. Once they see that so many individuals in the community care and want to donate items they become overwhelmed, for many it’s the first time in a while they are able to feel special and loved. Moving someone into their own apartment is indescribable and amazing. It is hard to put into words what goes on those days. It just goes to show with a little hard work that we are able to house the most vulnerable and end homelessness. In 2014, VSH provided rapid access to housing and housing focused case management to 594 individuals in veteran families, 97% of whom have not returned to homelessness. I am proud to be a part of the team that will help Richmond reach the goal of ending veteran homelessness by December 2015! Find Art Doors Auction Event: Tickets Now on Sale! See all 40+ doors and meet the artists who created them at this festive event. Live music, catering by Mosaic, cash bar with beer from Hardywood, wine from James River Cellars and a special signature drink. Purchase tickets here and you’ll automatically be registered for mobile bidding. Live auction of select doors begins at 8:30 p.m.; online auction ends at 9:30 p.m.
Tickets: Earlybirds $25; $35 after Oct. 14; $40 at the door.